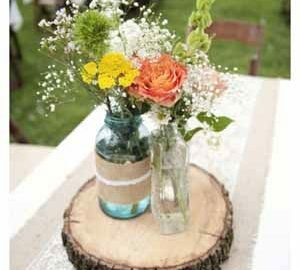 Here at The Wedding of my Dreams we love all those little extra touches. 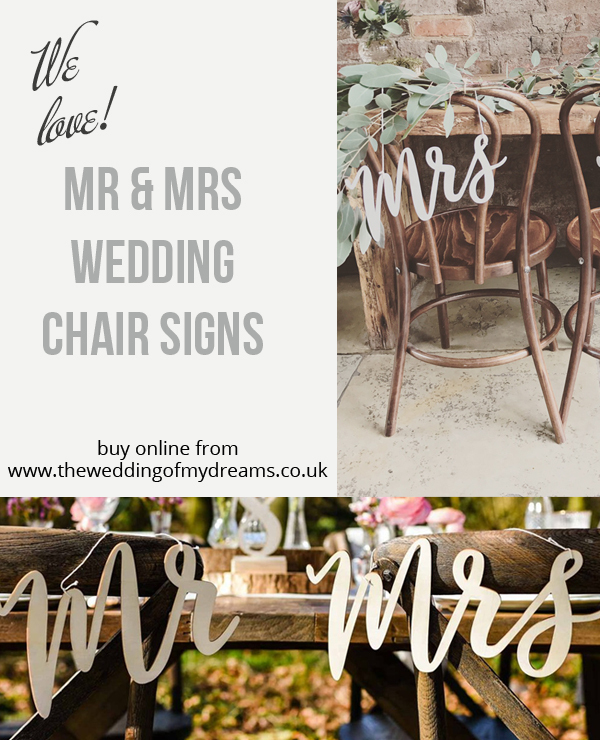 Our wooden Mr and Mrs wedding chair signs can look stunning hanging from the backs of your wedding ceremony chairs and then move them through to your reception for your chairs for the wedding breakfast. Our wooden Mr and Mrs signs are in a calligraphy style font, they are plain light wood in colour but you may choose to paint them. We have known couples to use spray paint and paint them in gold and silver which both look fab but also love them in the natural wood as well. They could be painted any colour. Shop online for these wooden mr and mrs signs here.